From 1872-1883, Mary lived at Kensington and established a school in that suburb. In 1883, Bishop Reynolds banished her from Adelaide and she moved to Sydney. She spent time in Victoria and New Zealand establishing the Order’s presence there, and supporting the expansion of the Josephites work across Australia. She also continued her contact with the Sisters in South Australia, visiting Adelaide in 1896-1897, 1899, 1901, 1904 and 1905. Mary passed away on 8 August 1909 at Mount Street, North Sydney, and is buried in the Mary MacKillop Memorial Chapel there. 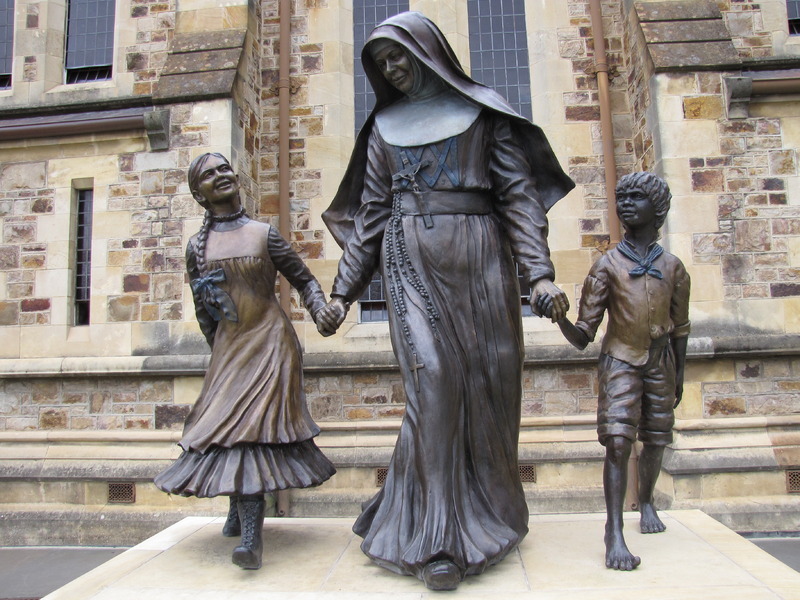 At the time of her death in 1909, there were 750 Sisters of St Joseph educating over 4,000 students in 117 schools and providing care for over 1,000 people across Australia and in New Zealand. Countless more have been assisted by the Sisters before and after this time. 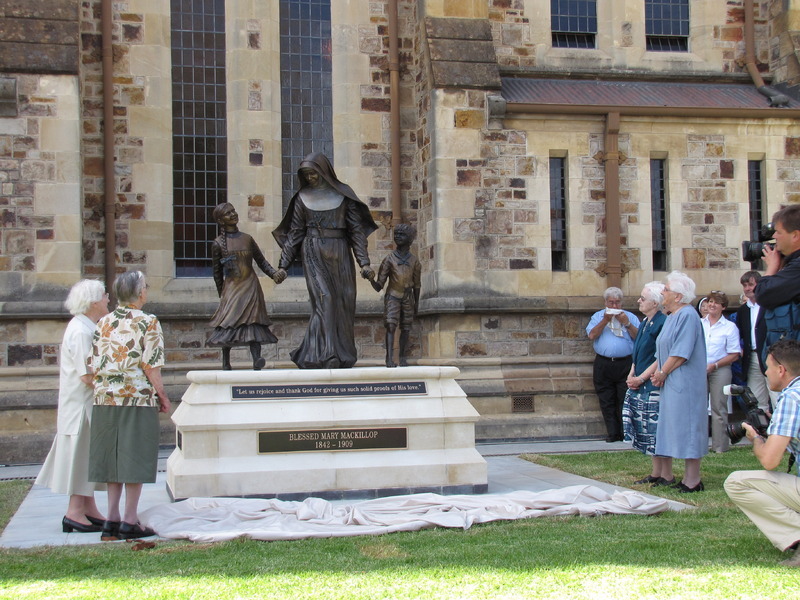 To mark the centenary year of Mary’s death, on 22 March 2009, a bronze statue by South Australian artist Judith Rolevink, was unveiled in Mary MacKillop Plaza adjacent to St Francis Xavier’s Cathedral. The statue shows a young Mary with two young children. 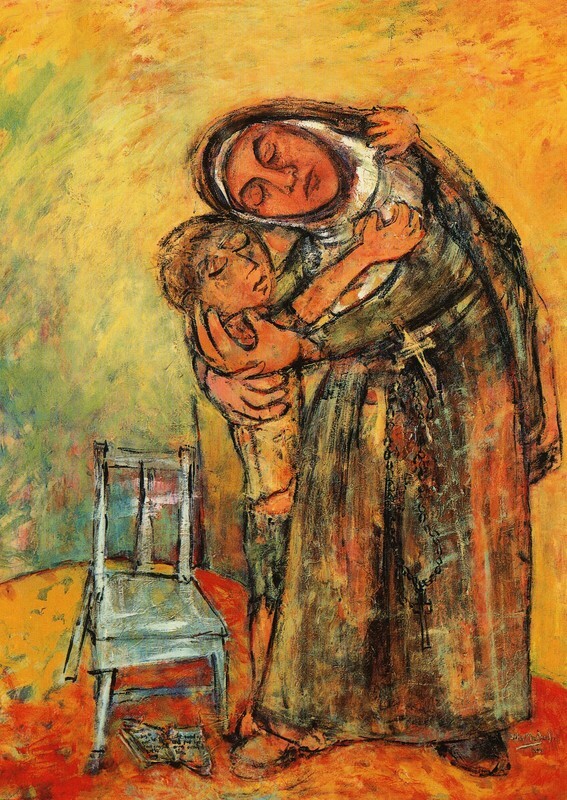 Mary would have been a familiar figure in the city, encouraging children to come along to her school and to Church, as well as helping those in need. The statue is a tribute to her life’s work of assisting others. 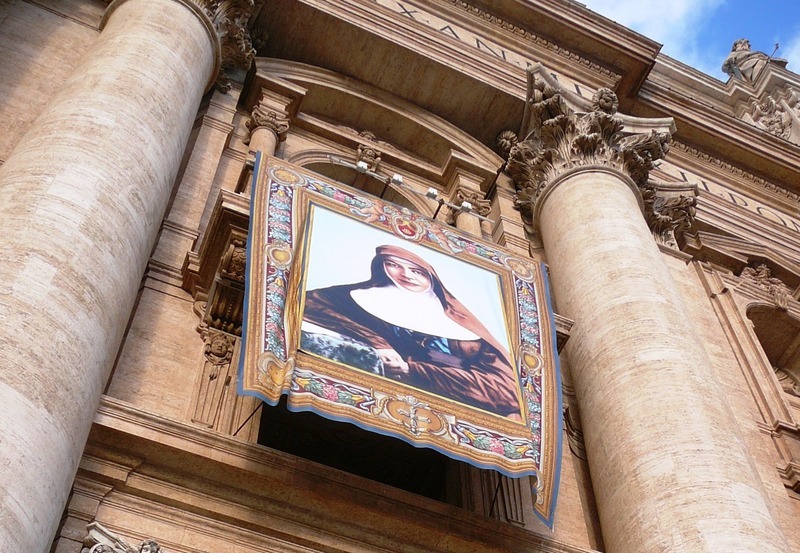 On 17 October 2010, Mary MacKillop was canonised in Rome as Saint Mary of the Cross MacKillop, Australia’s first saint. The Adelaide City Explorer Team and Mary MacKillop Centre Adelaide, “Mary MacKillop: A Continuing Presence,” Adelaide City Explorer, accessed April 24, 2019, https://adelaidecityexplorer.com.au/items/show/146.